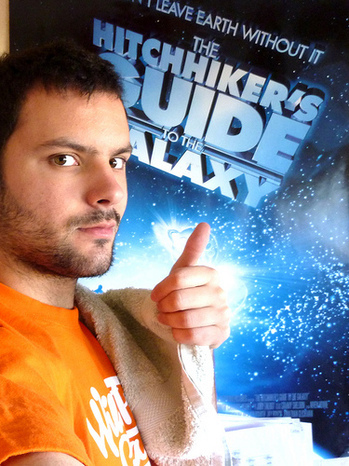 It’s Geek Pride day and it’s also Towel Day. It’s Towel Day because this is the day Douglas Adams fans celebrate their love for the sci-fi authour and his book and wear a towel to show it. They wear a towel because of a passage at the beginning of HitchHiker’s Guide to the Galaxy which extols the virtues of towels. It’s a long passage. We quote only the first sentence. Adams fans probably also chose to wear towels because it’s a bit, like, random and that’s the whole essence of Douglas Adams. How much will you celebrate Douglas Adams? 3. By carrying a full-sized bath towel with you, in a prominent position. quality products and good service. quote you a very good price according to it.